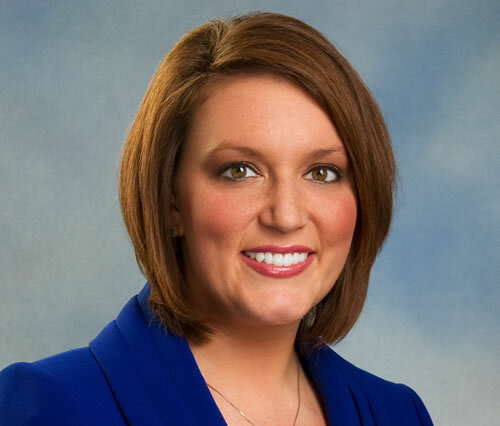 Katie Collett joined the WAVY/FOX 43 news team in August of 2007. She is currently the morning and midday anchor. Her anchoring duties include WAVY News 10 Today, WAVY News 10 at 7 a.m. on FOX43 and WAVY News 10 Midday. Prior to becoming the am anchor, Katie anchored the WAVY News 10 and FOX43 weekend newscasts. Katie came to WAVY/FOX 43 from WJAC-TV in Johnstown, Pennsylvania, where she was the 5 a.m. to 7 a.m. Sunrise anchor and a reporter. Katie also conducted special investigations while at WJAC. Through her investigations, Katie uncovered a locally based bridal shop, Kaufman’s Wedding World, was accused of cheating brides out of their money and gowns. Katie confronted the store owner and as a result of her investigation, Kaufman’s Wedding World filed for bankruptcy and was forced to close…while gownless brides were able to get assistance from local bridal stores. Prior to WJAC-TV, Katie was a full-time freelance producer at COX Broadcasting in Washington, D.C. She covered many political topics while on the hill including the beginning of the War in Iraq, the President’s State of the Union Address, and the release of the 9/11 report to name a few. Katie is a graduate of Edinboro University of Pennsylvania with a bachelor of arts degree in Speech Communication and is proud to call the Hampton Roads Area her home.